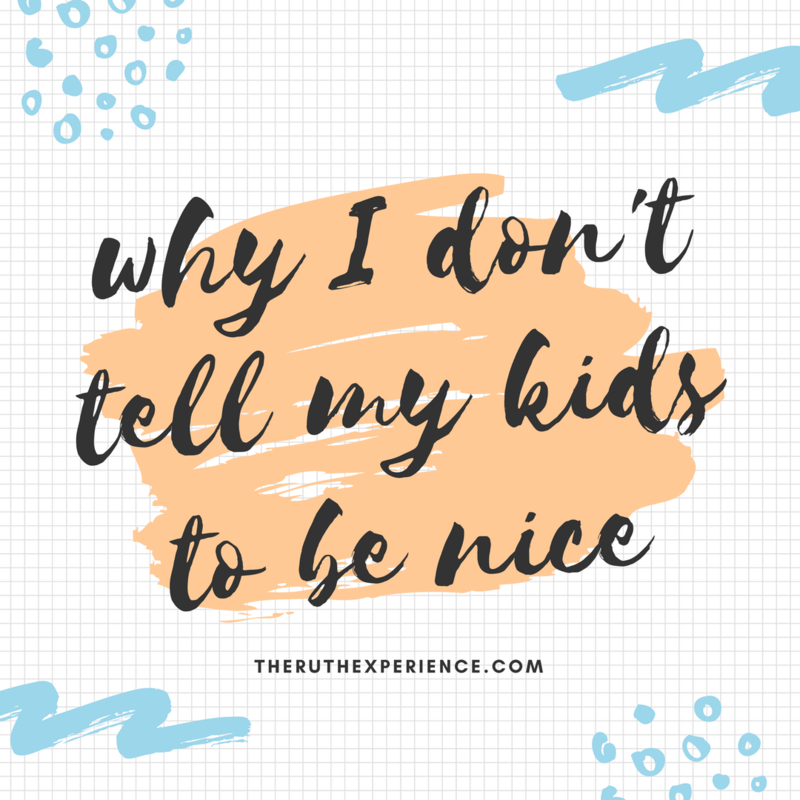 So I don’t ask them to be nice, I ask them to be kind. When I was 17, another girl at school called me “Little Miss Perfect.” It wasn’t meant as a compliment, and I didn't take it as one. The truth is, my Goody-Two-Shoes exterior masked a heart that was just as selfish as anyone else’s. 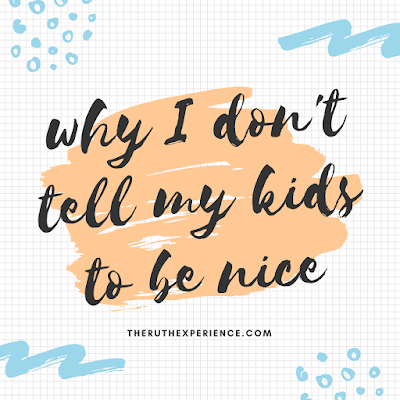 It wasn’t until I had children of my own that I realized the depth of my own weak and selfish heart, how hard I clung to my own impulsive need for control, how ill-equipped I was to face life on my own. How desperate I was for God’s grace. Even now, years later, there are still days when I feel a little sick from the root of selfishness buried deep in my stomach, entangling me and gripping my heart in unhealthy ways. And yet—his loving mercy overflows. In the Bible, the word kindness is often exchanged for the word mercy. Our family talks a lot about how mercy is showing compassion and care for others, even or perhaps especially when that kindness is undeserved. We talk about what mercy looks like, whether it’s loving neighbors as we love ourselves or treating our siblings the way we’d treat our best friend. We talk about serving and giving and helping those in need. We talk about respecting others and cultivating friendships. And at the root of all of that is kindness. For ourselves, our community, even for people we may never meet. Because all of those people are made in the image of God, just like we are, and they are precious and loved and worthy. Worthy of every kindness we could ever bestow, every mercy we can extend—an extension and a mirror of the grace and mercy that’s been extended to us. At the end of the day, I’m not raising little girls who look and sound polite, I’m raising women who I hope will be kind, brave, loving, merciful, faithful, generous, and strong--at the very core of who they are. Just like I'd like to be.